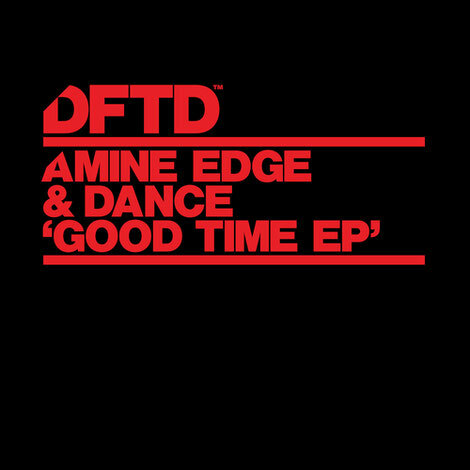 Duo Amine Edge & DANCE get set to release two tracks demonstrating their low-end house sound. Hailing from Southern France, the duo have built their own musical empire, namely a burgeoning label called CUFF. In their productions they draw inspiration from early house, Phili soul, hip-hop and everything in between. ‘Good Time EP’ does what it says on the tin, but represents the beginnings of a new direction and a stylistic departure from their G-House sound. The lead track shows their versatility with a straight-up 4/4 beat along with chop ‘n change vocals whereas ‘F.U.N.K.’ is a more industrial tech-inspired offering, putting a very modern twist on the funk. It’s out 28 July on DFTD.